Awesome look Helen! 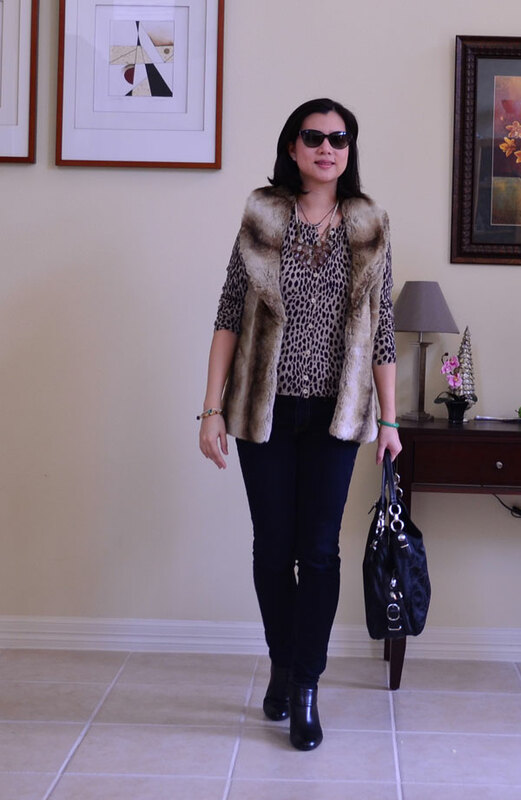 I like the fur vest and also the cardigan is pretty! I think you’ve just mixed patterns right here 🙂 I see ‘stripes’ on the vest and leopard on the cardigan! Style mission accomplished!